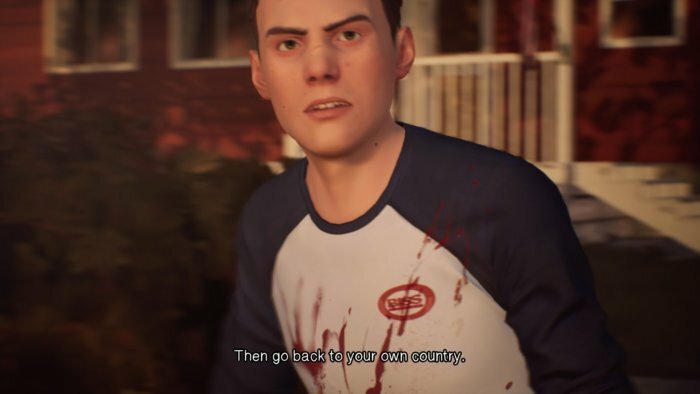 Life is Strange 2 doesn't shy away from today's politics. “Everything is political.” Only three words, but it’s probably the most daring statement in Life is Strange 2. Video games have long distanced themselves from any whiff of political controversy, and yet here’s one with the courage to say “Being a bystander isn’t an option.” Or at least implying that being a bystander is in itself political. It’s one radical stance among many, in perhaps the most overtly political game I’ve ever played. 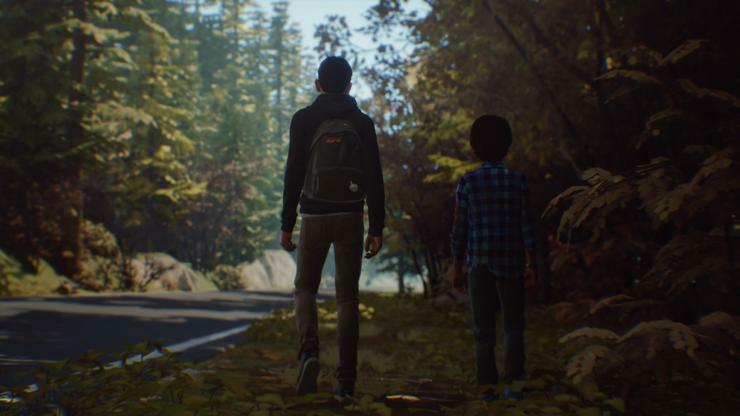 Life is Strange 2 ($40 on Humble) tackles a whole litany of touchy topics, including the Trump presidency, immigration, racism, technological surveillance, gun rights, and the role of the modern police force—all through the eyes of a teenage boy and his younger brother. 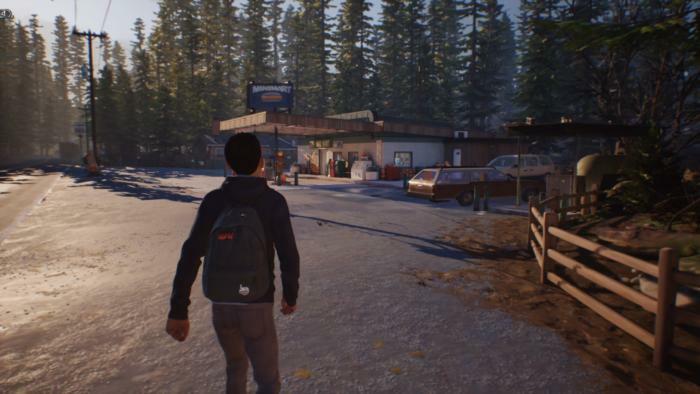 You play as Sean Diaz, a Seattle teen with typical teenage concerns. The opening is a masterful bit of misdirection, a reprise of the low-stakes social maneuvering of the previous Life is Strange. Sean’s headed to an illicit party with his friend Lyla, and it’s up to him to bring supplies: Alcohol, snacks, condoms, a blanket, maybe even marijuana if so inclined. Sean lives in a typical suburban house with his dad Esteban, a mechanic, as well as his eight-year-old brother Daniel. And much of this opening chapter is about setting up those relationships. Wander around, and Sean regales you with bits of family ephemera. The three of them watch the Lord of the Rings trilogy every year. Esteban hates sushi, but orders it because his kids like it. There are even a few choices to make, like whether to tell your dad you’re borrowing money to spend on drugs and alcohol, or lie and pretend it’s for more respectable pursuits. It’s pleasant. Dad’s down working on the car he plans to give you, once you’ve gotten over your fear of the driver’s test. Daniel’s working on some secret project in his room, which obviously can’t be good. And you? Raid the cupboards, sketch a bit, flip on the radio and sing along. It’s just a crisp autumn afternoon. Until it all goes wrong. I won’t detail exactly what goes wrong, or how. Suffice it to say Sean and Daniel are thrust into a situation that quickly spirals out of hand, and in a panic Sean decides they need to run for it. So they do, all the way into the woods around Mount Rainier and then south into Oregon. The eventual goal is Mexico, but Mexico’s a long way away and you’ve got maybe $40 in your wallet. What do you do? It’s a slow burn, for sure. Much of this first episode is spent wandering in the woods, trying to build a shelter for the night. But that’s Life is Strange, yeah? And this time around I feel like there’s a cohesive story, too. I enjoyed the previous games, but it was more for the moment-to-moment character interactions than the overarching plots. 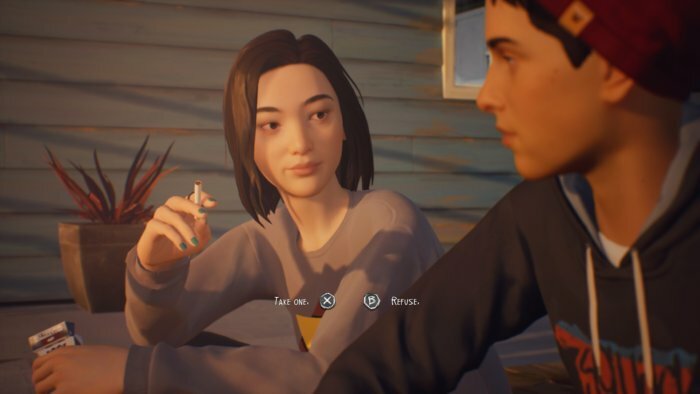 In the original, Chloe and Max were fantastic, the town of Arcadia Bay a great backdrop, but the “Where’s Rachel?” subplot felt like a cheesy slasher film. Then Before the Storm made Chloe and Rachel even more endearing, but the drug dealer storyline never went anywhere interesting. Tell Daniel scary stories, he’ll have nightmares. Let him gorge on berries unsupervised, he might get sick. Teach him to skip stones or to conquer the claw game, and he’ll feel more confident. Steal, and he’ll notice. It reminds me of Clementine and Lee’s relationship in Telltale’s initial season of The Walking Dead, except Lee was more of a father figure, a competent leader who mostly knew how to handle himself. Sean’s just barely older than Daniel, no job, no money, no plan. A few days ago his biggest concern was flirting with his math tutor Jenn. Now he’s trying to decide whether to steal a tent from a gas station or not, and perhaps whether his brother could distract the cashier—and whether that will teach Daniel a bad lesson, or put him in harm’s way. It’s stressful, though I think Life is Strange 2 plays it a bit too safe in this opening chapter. No surprise, as there are four more episodes to come, but the tough decisions don’t feel quite tough enough yet. It’s too easy to play the ethical Sean, to always make the “correct” choice and come out okay. I hope the pressure ramps up as we go. I also hope it doesn’t though. Sean and Daniel are already mired in tragedy, and to be honest I was glad not to make any hard calls. We found berries in the woods, enough for Daniel to eat and be content. A friend gave us $40, enough to buy bus tickets. These small victories felt reassuring, as I tried to shield Daniel from harm and minimize trouble for Sean as well. It’s a stark and unforgiving look at both race and class issues in 2016’s America—issues that have only grown more contentious in the two years since. There’s no efforts to dance around these subjects, as in Far Cry 5. This is Life is Strange 2’s take on the current political climate, as filtered through a few archetypal Americans, and it is unsettling. Which is not to say it’s perfect, either. Some of the more emotional moments strain against the limits of the character animations (Daniel can get particularly creepy at times) and a few lines of dialogue come off hammy. 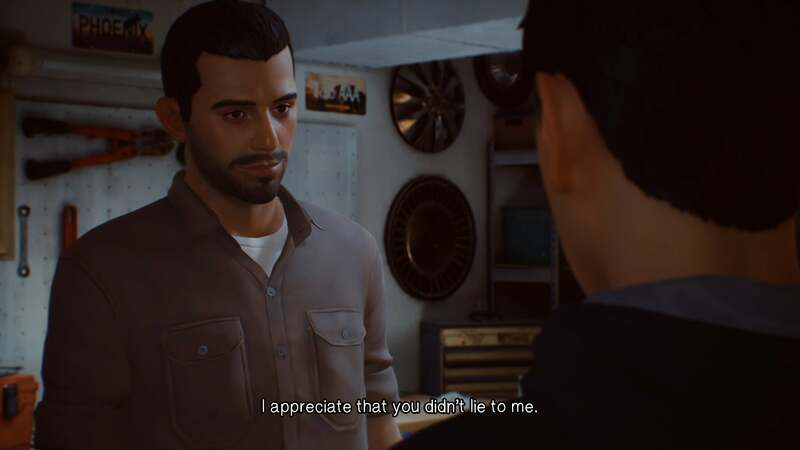 Those who take issue with Life is Strange 2’s politics will also undoubtedly point to the middle chapter, which unfortunately plays up one character as so villainous he’s more of a caricature. Those missteps can be dangerous in this sort of charged narrative, because any misrepresentation or exaggeration is fuel for complaints. It’s why so many games shy away from politics. Most of the time, it’s just easier to say “Nah, we didn’t mean anything by this” than to open yourself up to criticism. But I’m glad Life is Strange 2 ($40 on Humble) didn’t take the easy road. 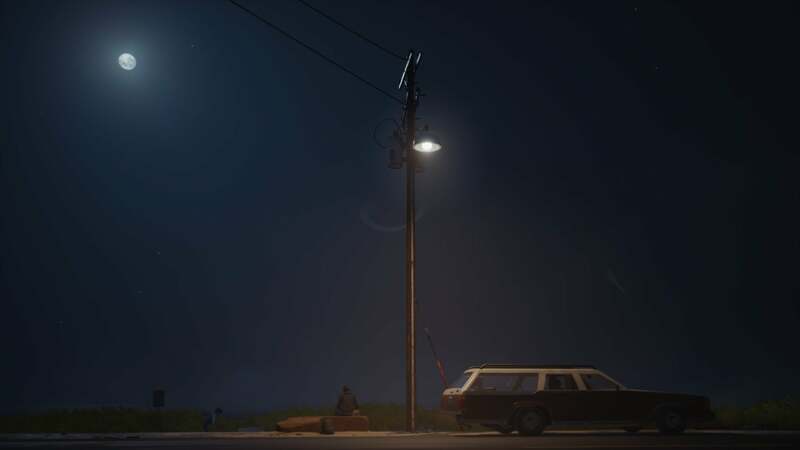 This has the potential to be a landmark moment for interactive storytelling, and I’m honestly stunned Square Enix allowed Dontnod to make it. Games don’t take these risks, ever—and certainly not in something this high-profile. There are four episodes left to come, and I’m curious to see where Sean and Daniel’s story goes. I hope I can shield them from the worst, but I know in my heart that I can’t. Good luck out there, kids.